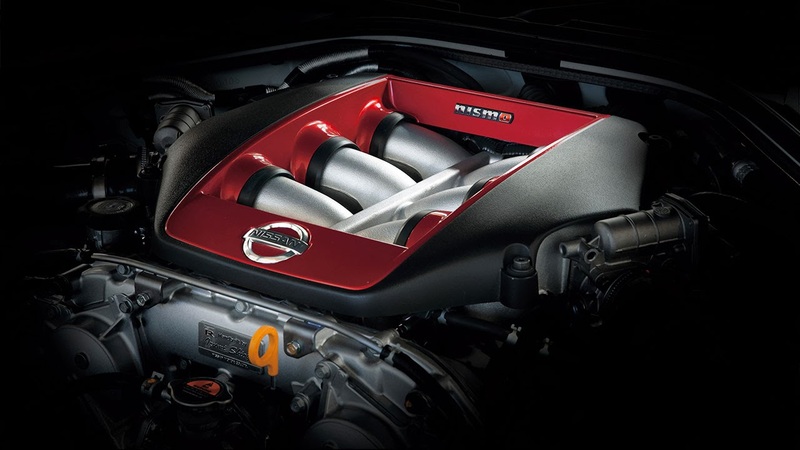 Under the hood, the 3.8-litre V6 VR38DETT engine benefits from the know-how that Nismo has gained from participating in such events as the world-renowned Nürburgring 24 hour race. Engine power has risen and is now rated at 600hp (441kw) and 481 lb ft (652 Nm) of torque. New high-flow, large diameter turbochargers, which are used for GT3 racing, improve breathing, while optimised individual ignition timing control for each cylinder and upgraded fuel pump improve combustion. 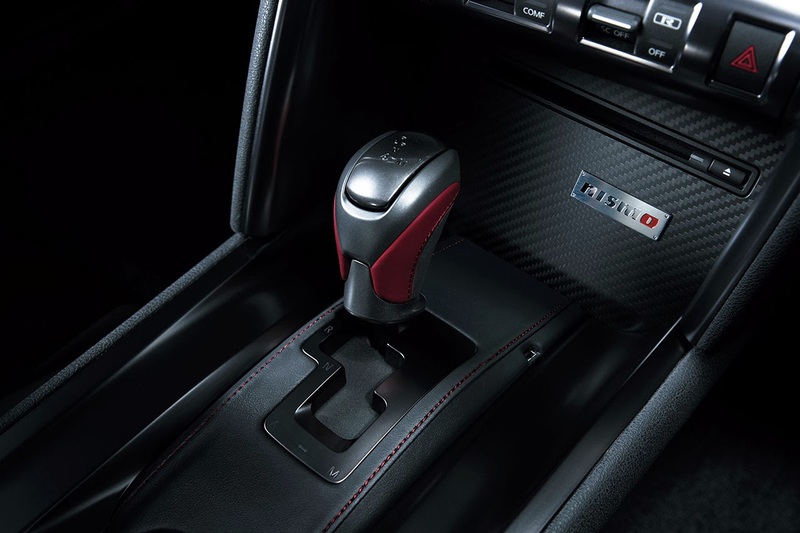 The suspension setup,is inspired by that of the Nismo racing GT-R and tuned for stunning agility, road-holding and handling finesse, without compromising refinement. Exclusive Nismo tyres - developed by Dunlop - exhibit outstanding grip and handling characteristics. Front: 255/40 ZRF20; rear 285/35 ZRF20. 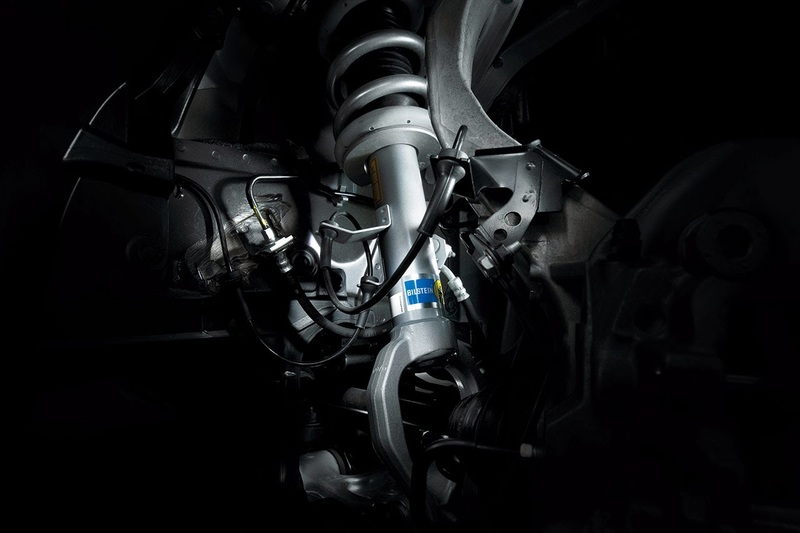 Specially-developed links fitted to the front double wishbone suspension increase castor trail to optimise wheel position during high-G cornering and improve straight-line and cornering stability. Additionally, large high-rigidity bolts are used to increase stiffness of the wheel-hub attachment area. 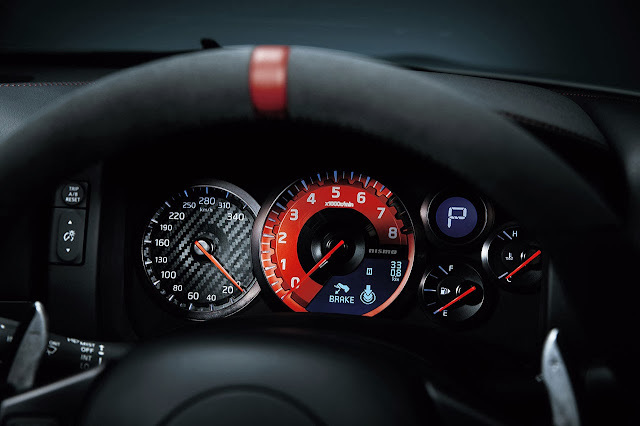 Using the latest Computational Fluid Dynamic simulation techniques to analyse airflow, Nismo has developed an aero package that improves road-holding, minimises the negative impact of drag, while giving the car a menacing and muscular appearance. 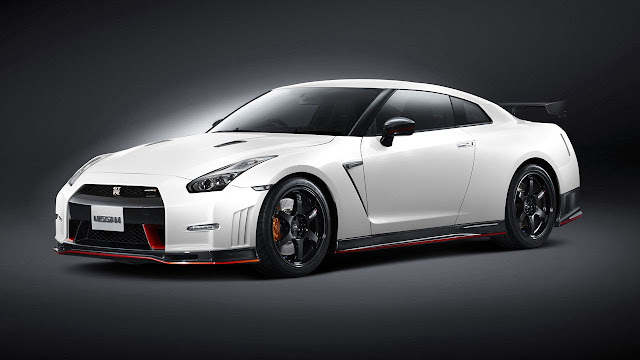 Together, the front bumper, engine undercover strake and carbon rear spoiler increase downforce, lowering the centre of gravity and generating an additional 100kg (at 300km/h) compared to the freshly updated 2014 GT-R model. The car's aerodynamic characteristics are tuned to ensure the downforce is equally spread front to rear at all speeds for progressive handling characteristics. 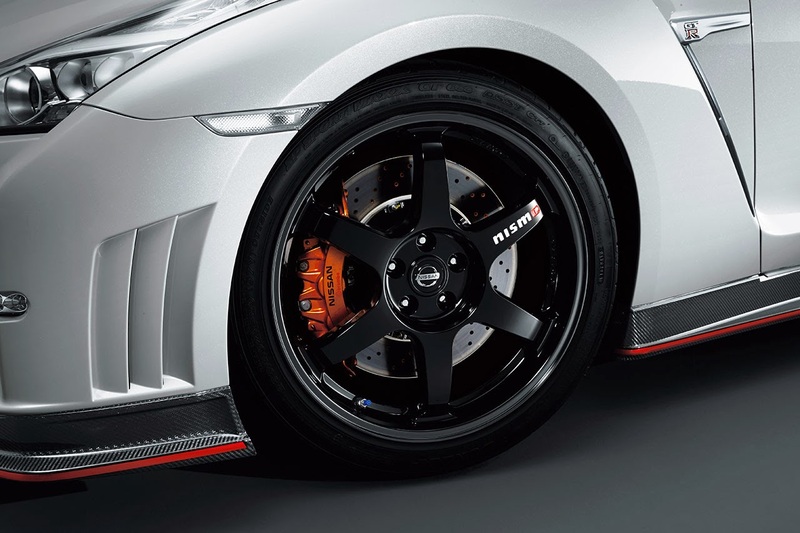 A widened front bumper configuration and elongated yet tapered rear bumper design keep the drag to Cd 0.26, the same as that of 2014 Nissan GT-R. 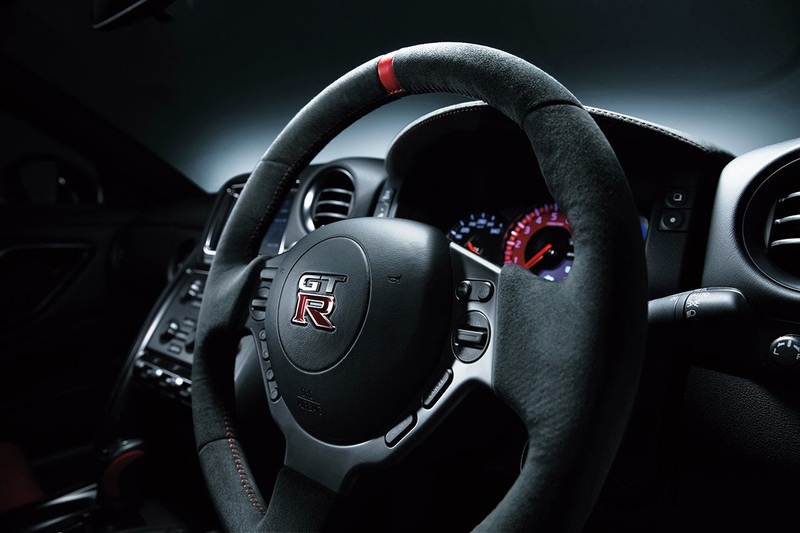 The Nissan GT-R Nismo cockpit inspires driver confidence through both its craftsmanship and optimised driving position. 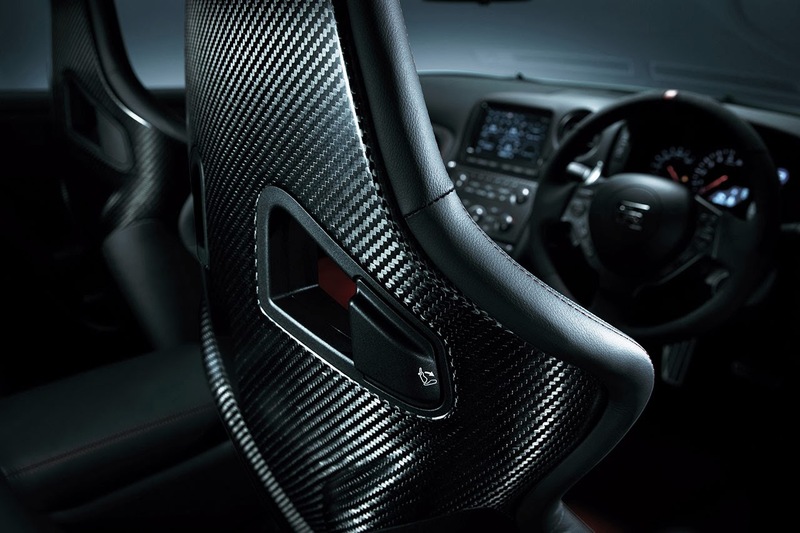 Ergonomically sculpted carbon-fibre-backed reclining RECARO seats (Europe/Japan) comfortably, yet firmly, support the driver and front-seat passenger.